There is a beautiful plaque located on a cairn at the cemetery. 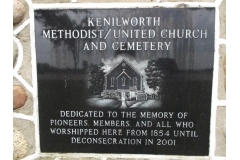 It is for the Kenilworth Methodist/United Church and cemetery. 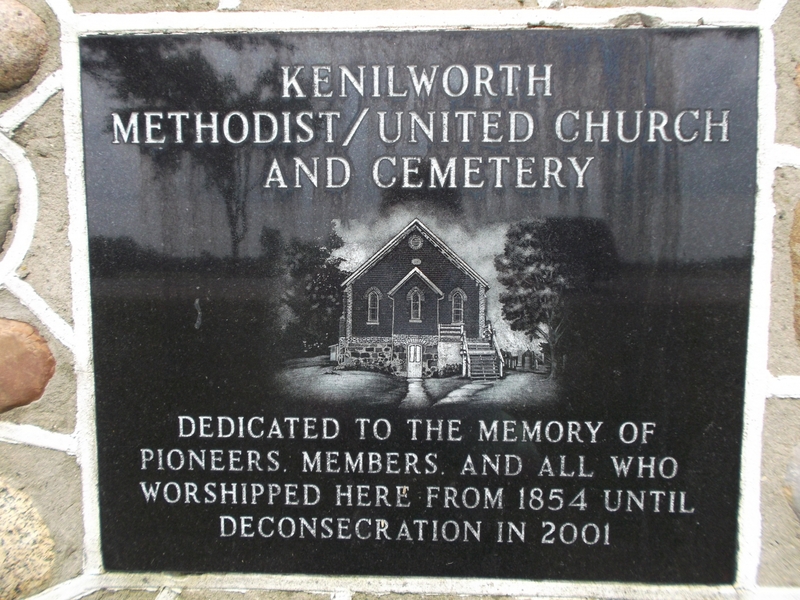 The picture of the church on the plaque almost looks as though it is glowing. 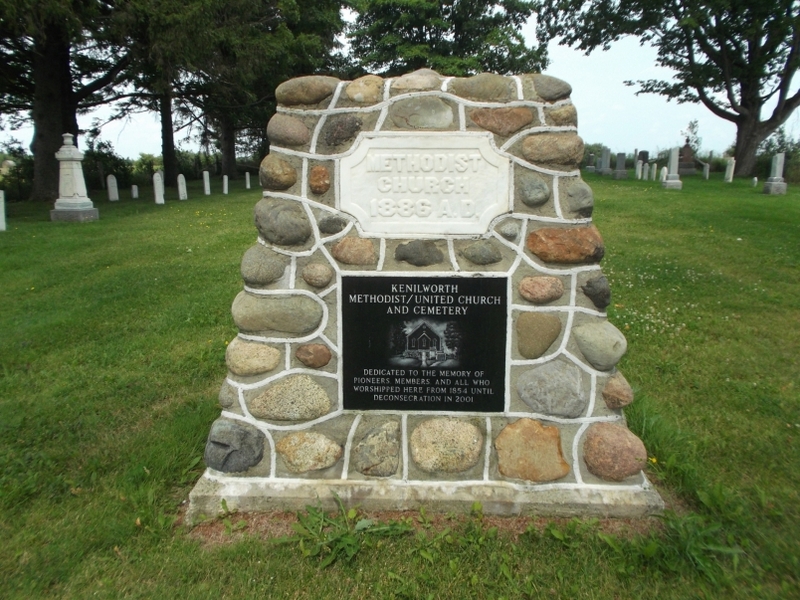 The cairn is dedicated to the memory of pioneers, members, and all who worshiped there from 1851 until deconsecration in 2001. 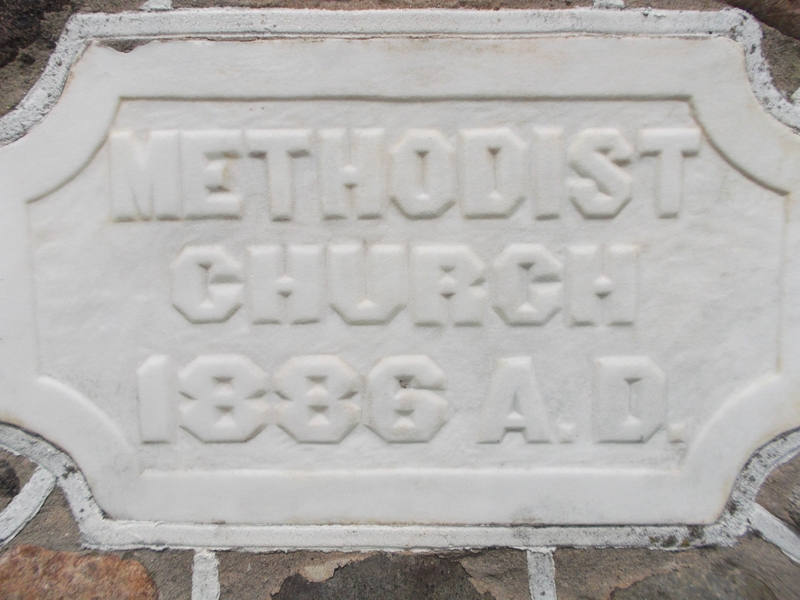 Another cement plaque on the cairn is for the Methodist Church dated 1886 A.D. The standing tombstones are arranged at the back of the cairn. 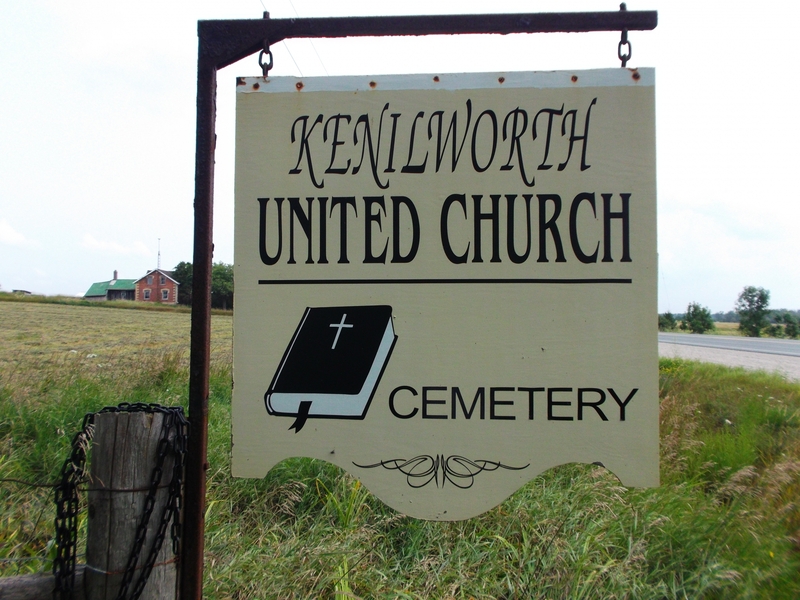 Located south of Kenilworth, on east side of Highway 6 between Sideroads7 and 8, It is nestled into a grassy area in the trees.